All of the NaNoWriMo masochists are 60% of the way through challenge 2011. 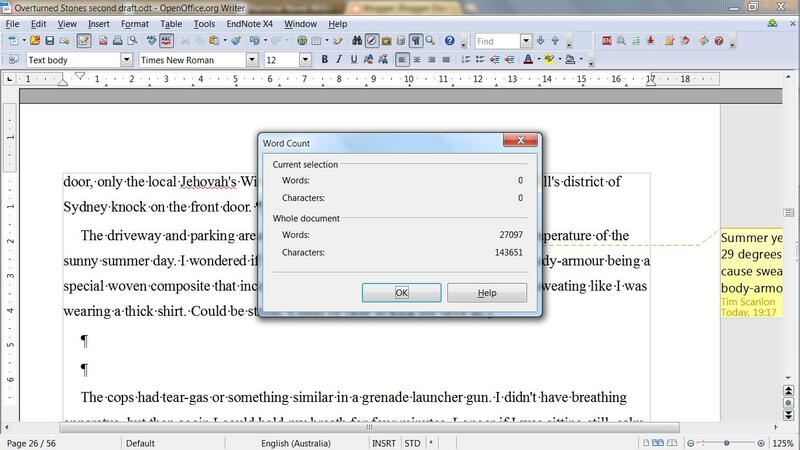 I have just disowned one of my writing buddies for having already passed the 45,000 word mark. 1667 words a day didn’t seem like that much of an effort at the beginning of the month. Now I’m realising it is quite a demanding effort to be consistently creative when you have a day job, travel for work, and a lazy streak wider than a truck. Being a professional writer is no easy task, I have even more respect for them than ever. So with 12 days left to write ~23,000 words I’m still confident, but know there are some big writing days needed. Also I may just start taking the advice of many and just write and give up on that silly idea of making sure flow and research are complete. Not that I’m blaming the internet and its plethora of interesting information for my slow writing progress, that would be rather shallow of me. Instead it is proper to lay the blame at the feet of my dog, curse her and her need to sleep on my feet in such a cute way. How has everyone else fared so far? A dog will sleep on your feet cutely and provide a source of procrastination. A cat will physically block your ability to write through their preference for sleeping on any and all keyboards.Cats win.